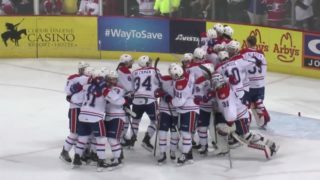 PORTLAND, Ore. — The Spokane Chiefs rallied from a two-goal deficit entering the third period to win in overtime, 4-3 on Wednesday night in Portland. 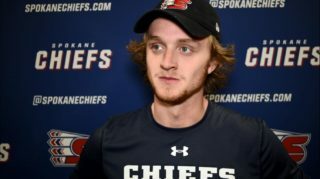 The victory pushes the Chiefs to a 3-1 lead in the first round playoff series versus the Portland Winterhawks with Game 5 scheduled for Saturday night in Spokane. Spokane struck first as New Jersey Devils prospect Ty Smith fired a shot from the right wall that found its way to the net to make it 1-0 in favor of the Chiefs. 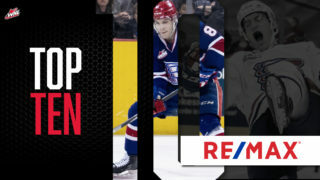 Eli Zummack was originally credited with the goal, with Smith and Los Angeles Kings prospect Jaret Anderson-Dolan on the assists, but the scoring was changed to correctly award Smith with his first of the playoffs. Portland evened things up on a delayed penalty midway through the opening frame as defenseman Brendan De Jong weaved through traffic to snap a shot inside the left post. The Winterhawks took the lead with 1:30 left in the first as Josh Paterson potted a rebound chance created by a Clay Hanus shot to make it 2-1 Portland. Paterson struck again midway through the second for the only goal of the middle frame, again sliding in a rebound chance for his second of the night and fourth goal of the series. The Chiefs cut the lead back to one early in the third period as Luke Toporowski scored for the second-straight game, chipping the puck past goaltender Joel Hofer at 3:25. With an empty net behind them, Spokane tied the game at 3-3 with exactly one minute remaining in regulation as Riley Woods found Zummack flashing down the middle to score for his second point of the night. 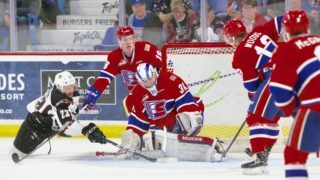 A delay of game penalty committed by Portland’s Seth Jarvis proved costly as Spokane capitalized for their second-straight overtime win. At 4:39 of the extra frame, San Jose Sharks prospect Jake McGrew fired a shot from the left wing that rebounded in front. Ethan McIndoe swiped the bouncing puck over to Beckman on the right wing, from which he one-timed it home for his third goal of the postseason. Spokane finished the game 1-for-3 on the power play and are now 5-for-9 in the series. Portland did not have a power play chance. Portland outshot the Chiefs 38-37. 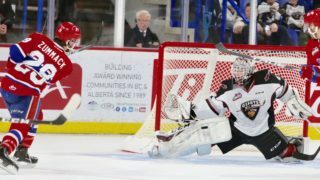 Bailey Brkin started in goal for Spokane and made 35 saves. Hofer made 33. 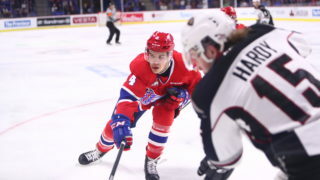 The Chiefs’ next home game will be Game 5 versus Portland on Saturday, March 30 at Spokane Arena (7:05 p.m.). Tickets are available online, over the phone at 509-535-PUCK and in-person at the Chiefs’ Ticket Office at Spokane Arena.